Decorating the Church on Advent Sunday! The Christmas season is nearly upon us. This Sunday we will celebrate Advent Sunday! 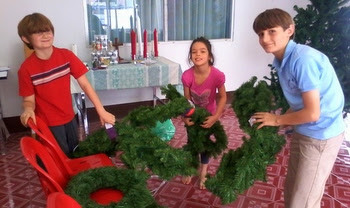 The 11 a.m. service will be followed by a potluck as we all join together to decorate the church for Christmas. This was a wonderful introduction to the Christmas season last year, as you can see in the picture above, so please bring food to share and enjoy this beginning of our festivities! This week the liturgy will include the lighting of the first candle on our Advent Wreath, and we will also sing a new setting of the Gloria. This version was written by Healey Willan in 1928 and should be familiar to some of the American Episcopalians among us. Members of our choir for the Festival of Nine Lessons and Carols, have also been practicing! 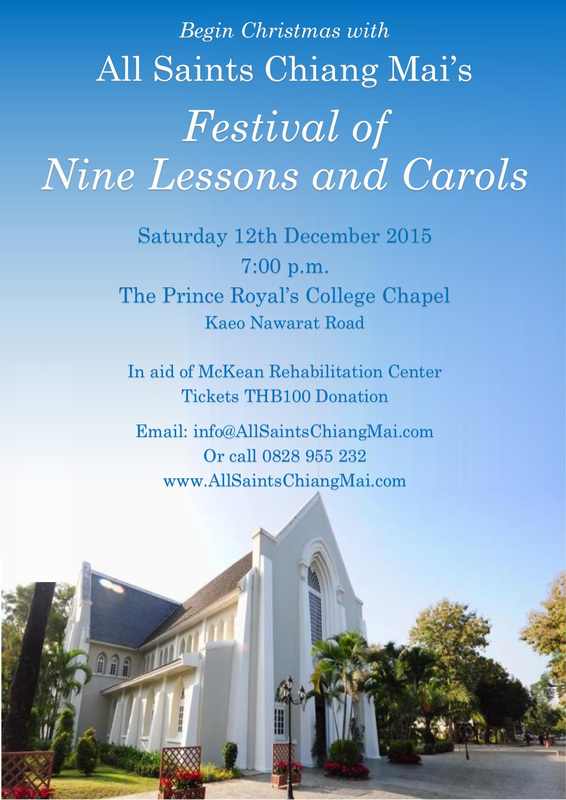 Meanwhile, our Festival of Nine Lessons and Carols on Saturday 12th December is now just over two weeks away! The service will begin at 7pm and is being held in The Prince Royal’s College Chapel. Representatives of foreign consulates and other organisations have already agreed to take part and it should be a wonderful community event. 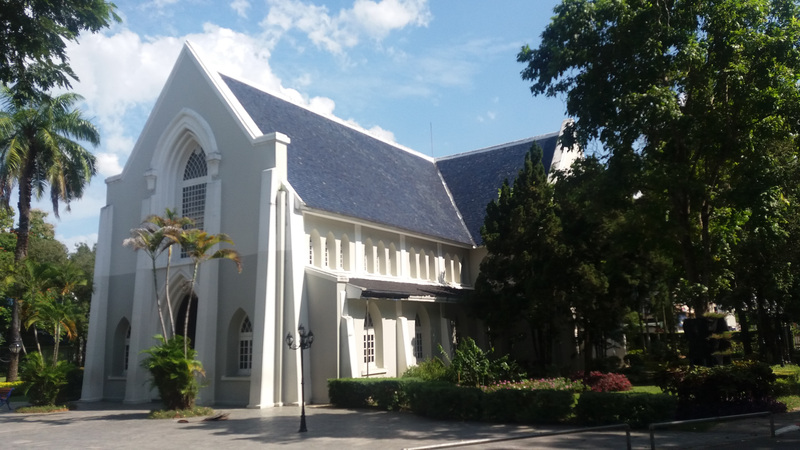 Tickets are being sold for THB100 in aid of the McKean Rehabilitation Center and are now available for sale at the church, in Bake and Bite, and at the Chiang Mai International School front office. The service will be followed by coffee and cake, and maybe mulled wine, back at All Saints. Volunteers are still needed to take charge of this. 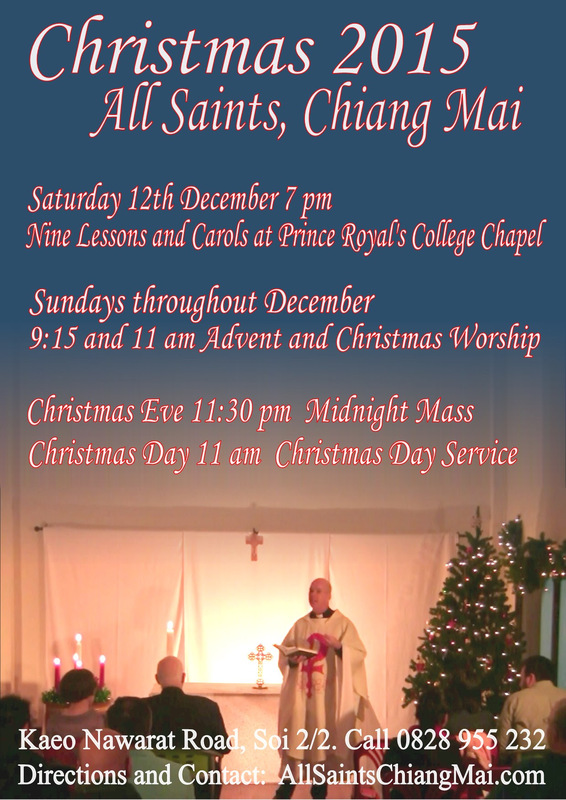 Tickets, and posters advertising both the Nine Lessons and Carols, and our other Christmas events will again be available for distribution this Sunday and can be seen below. Also, coming up on Wednesday 9th December at 7:30pm there will be a performance of Handel’s Messiah at Payap University. It will be in the Leviticus Auditorium (on the MaeKhao Campus – in the Law Building east of the Ring Road 1) Admission is free, but donations are appreciated. Let me know if you would like to go. This week our readings are Isaiah 64:1-9, 1 Corinthians 1:3-9, and Mark 13:24-37, and we will be singing the hymns O Come O Come Emmanuel, God you alone know what you’ve planned, Sing we the King who is coming to reign, and Come thou long expected Jesus! The readings can be found via this link! Our sermon is entitled Come, Lord Jesus! 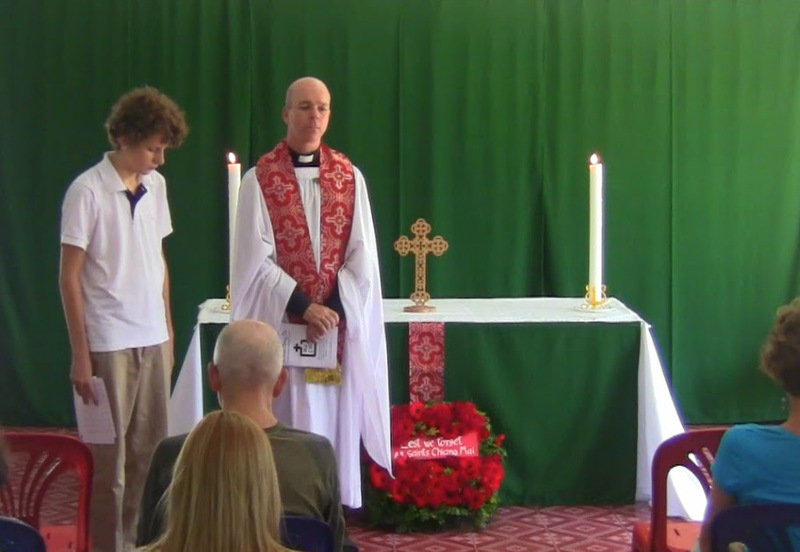 Last Sunday we had a wonderful service to mark Remembrance Sunday. Harvey played the Last Post, and we observed the two minutes silence to remember the victims of wars. It was truely an uplifting service, despite its somber theme, and I came away greatly encouraged! God is with us – even in this world of tears! Soon we will move from the season of remembrance to the season of anticipation, Advent, when we look forward to the coming of Jesus at Christmas. 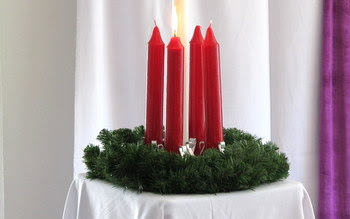 Firstly, November 29th, in two weeks’ time, is Advent Sunday. The 11 a.m. service will be followed by a potluck as we all join together to decorate the church for Christmas. This was a wonderful introduction to the Christmas season last year, so please mark it in your diaries. Meanwhile, Choir rehearsals are now in full swing for our Festival of Nine Lessons and Carols on Saturday 12th December, which is now just over four weeks away! The service will begin at 7pm and is being held in The Prince Royal’s College Chapel. Representatives of foreign consulates and other organisations have already agreed to take part and it should be a wonderful community event. Tickets are being sold for THB100 in aid of the McKean Rehabilitation Center and are now available for sale. The service will be followed by coffee and cake, and maybe mulled wine, back at All Saints. Volunteers are needed to take charge of this. Tickets, and posters advertising both the Nine Lessons and Carols, and our other Christmas events will be available for distribution this Sunday. Finally, Harvey would like to invite everyone to Latin Night on 17th November at Chiang Mai International School. The evening will focus on music of Spain and Latin America. 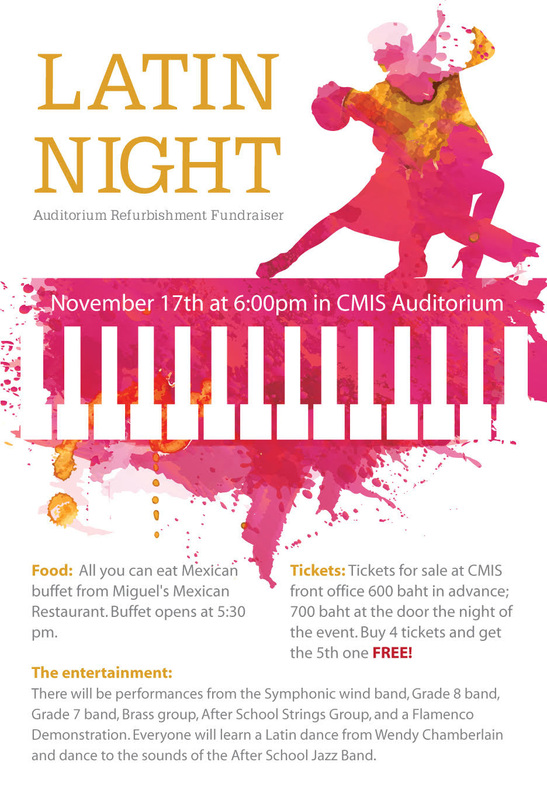 You will hear the bands of CMIS while gorging on an all you can eat Mexican buffet, included in the price of the ticket. Tickets are THB600 in advance or THB700 on the night. The buffet will open at 5:30 p.m. This week our readings are 1 Samuel 2:1-10, Hebrews 10:11-25 and Mark 13:1-8, and we will be singing the hymns Holy, holy, holy, Be thou my vision, Come down O love divine, and In Christ alone my hope is found. The readings can be found via this link! Our sermon is entitled Do not be afraid!